Buckeye Foot & Ankle, LLC, announced the addition of Dr. Marcus Richardson to its practice. He will see patients at both the Urbana and Marysville locations starting July 19. 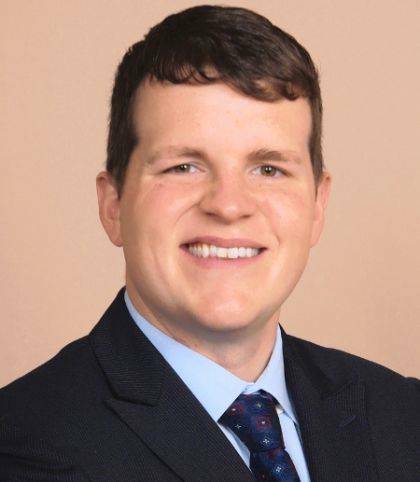 A native of McConnelsville, Richardson joined Buckeye Foot & Ankle after completing a three-year surgical residency at Grant Hospital in Columbus, where he was chief resident. He received his Doctorate of Podiatric Medicine degree from Temple University School of Podiatric Medicine in Philadelphia, Pennsylvania, and his undergraduate degree in biology from Wittenberg University in Springfield. He is Board Qualified in Foot Surgery from the American Board of Foot and Ankle Surgery and is a member of the American College of Foot and Ankle Surgeons and the American Podiatric Medical Association. He has a special interest in sports medicine. Dr. Susan Yu said both the Urbana and Marysville clinics will be offering extended evening hours. The Urbana clinic is located in Suite B at 970 E. U.S. Route 36. Hours are 9 a.m. to 5 p.m. Monday and Thursday; 8 a.m. to 4 p.m. Tuesday; 9 a.m.-6 p.m. Wednesday; and 9 a.m.-4 p.m. Friday. For more information, call 937-653-6105. Submitted by Buckeye Foot & Ankle.